The BaR is a flavor-infused clear alcoholic beverage that comes in Orange Vodka, Lemon-Lime and Apple Vodka flavors. The BaR is made with only the highest quality neutral alcohol mixed with the finest fruit flavors. The BaR was created to appeal to the younger, more outgoing crowd. These are the people who enjoy life and simply love the nightlife and the coolest parties. They are the ones who are aware of the newest trends of what’s hot and what’s not. The BaR is a fun drink made for them. Bring it anywhere and take the party with you! 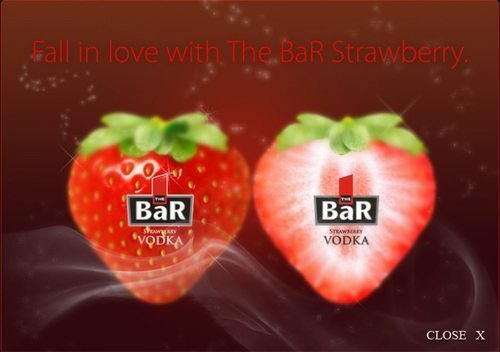 Also, there is another reason to celebrate as The BaR’s new flavor is coming this May: The BaR Strawberry Vodka! Be sure to find out more about The BaR, its products, events and other types of promotions. Log on to their Official Website at www.thebar.com.ph for complete details. The BaR is a quality product of The BaR Beverage, Inc., a subsidiary of Emperador Distillers, Inc.
Will try this one when we get to go out with friends on a weekend. Hi, just dropping by. I would also try this when we have get together.